hyperthymesia rearranges and resequences every frame from every music video by Western Australian artists available on YouTube, forming an intense, rapid montage of non-consecutive memories. 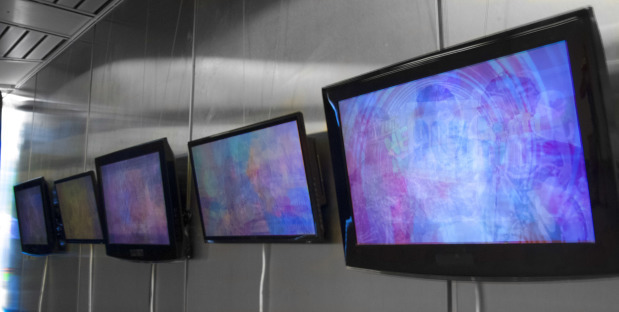 Presented through 5 screens and accompanying sound, the work looks at the visual and sonic identity of Western Australian music from an objective, data-focused and computerised standpoint. The work utilises internet-based resources- the world-facing perspective that is presented by the extreme isolation of Perth and sparsely inhabited Western Australia. These resources are then rearranged in time and placed adjacent temporally. The resulting experiential artwork presents to the viewer thousands of moments in time from Western Australia’s music history, creating an overload of the senses and forcing the creation of a new representation and identity.